"The Citizens have won 21 of their 23 fixtures since Boxing Day, and have conceded a total of just 25 shots in their eight matches since triumphing in the EFL Cup final back in February." Tottenham celebrated the official opening of their magnificent new £1bn stadium with a crucial victory over Crystal Palace to cement their place in the Premier League's top four. Spurs overcame a nervous first 45 minutes in their new home to record their first Premier League win since 10th February thanks to goals from Son Heung-min and Christian Eriksen. The first-half mediocrity poured cold water on the mood of celebration amongst home supporters, but Son's opener 10 minutes after interval sparked the frenzied atmosphere. And Tuesday night's hosts will hope their new surroundings can provide renewed impetus as they seek a place in the Champions League semi-finals for the first time. Moussa Sissoko produced a dominant and powerful performance from midfield for Mauricio Pochettino's men and is expected to keep his place in the starting XI. Harry Winks and Victor Wanyama's availability gives the home side options with Pochettino known to be pondering the potential to switch between a back three and a back four for Tuesday night's tussle. Manchester City stayed on course for an unprecedented quadruple as they reached the FA Cup final on Saturday after edging out Brighton at Wembley. Pep Guardiola's side were nowhere near their best but a largely undistinguished contest was settled by Gabriel Jesus' after only four minutes as the Brazilian converted from Kevin de Bruyne's perfect cross. The Citizens were grateful to Aymeric Laporte's clearance under his own crossbar after the break to preserve their advantage and Kyle Walker was fortunate to escape a first-half red card after a VAR review. But ultimately City did enough to progress without too much drama, limiting Brighton to just five attempts at goal throughout the encounter. With City light years away from their imperious best, Guardiola may look to shake things up for the midweek match. Star striker Sergio Aguero remains a major doubt in attack and full-backs Oleksandr Zinchenko and Walker are also fighting to be fit to feature. Fernandinho will return to the starting XI, whilst Leroy Sane and John Stones could also be recalled. This will be the 157th meeting between Tottenham and Manchester City but the pair have never previously met in European competition. Nevertheless, the Citizens have enjoyed the upper hand in recent contests, taking top honours in 11 of their most recent 16 duels with Spurs (W11-D1-L4), including each of the last three. Tottenham [4.40] were chalked up as [5.40] shots when they welcomed Man City to Wembley for Premier League duty back in late October, suggesting the market may have overreacted to home advantage here. The hosts have W2-D1-L6 against the Big Six in the Premier League this term, as well as being beaten in eight of 19 outings since Boxing Day. Manchester City [1.88] were as skinny as [1.66] for that earlier season encounter, and appear decent value should Sergio Aguero recover in time to feature from the off. The Citizens have won 21 of their 23 fixtures since Boxing Day, and have conceded a total of just 25 shots in their eight matches since triumphing in the EFL Cup final back in February. The main drawback to backing City is in the state of the tie. Unlike a regular Premier League showdown, there's no burning desire to go chasing victory in the first leg away; it might not be in Pep Guardiola's armoury to play for a stalemate but if the scores are locked level late on, City may be comfortable knowing the return leg in Manchester is still to come. Tottenham have managed a solitary shutout in nine showdowns with Big Six opposition in the Premier League this season, with Both Teams To Score paying out on five occasions. The hosts have also seen Over 2.5 Goals collect in five of those fixtures, and a repeat can be supported at [1.71] quotes on Tuesday night in the capital. 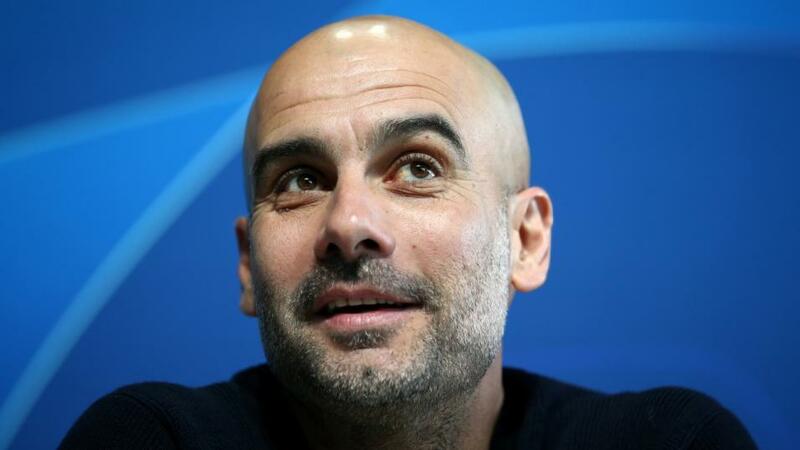 Man City have paid out in the Over 2.5 Goals and BTTS column, in all four contests with Big Six teams at the Etihad, although the Citizens' four trips to the same standard of opposition have flopped in both markets. Indeed, Pep Guardiola's group have produced a series of resilient efforts on the road, suggesting this might not be the goal-fest we're all hoping for. Over the past five seasons, Champions League quarter-final first leg ties have averaged 2.80 goals per-game with only six (30%) of 20 contests featuring four or more goals. Favourites have claimed a first leg success in 11 (55%) of those fixtures and with the evidence already provided, it supports the case for Man City avoiding defeat alongside Under 3.5 Goals. If we dip into Betfair Sportsook's Same Game Multi market, we can back City in the Double Chance market, along with Under 3.5 Goals for an attractive offering of 9/10. This selection would see us profit should the Citizens seal a 1-0, 2-0, 3-0, or 2-1 triumph, as well as a 0-0 or 1-1 draw on Tuesday evening. Pick four or choose Betting.Betfair editors' correct scores from the Champions League fixtures and have a chance of winning a jackpot with Colossus by clicking here.